The research of Emily Finlayson, M.D., M.S., Associate Professor in Residence and Director of the UCSF Center for Surgery in Older Adults, focuses on using administrative data to examine ‘real world' surgical outcomes in the elderly. For example, in an analysis of operative mortality in 1.2 million Medicare beneficiaries age 65 and older undergoing elective diagnostic high-risk surgery, she found that the risk of death increased dramatically with age. Her work examining the impact of age and comorbidity on operative mortality and survival among octogenarians undergoing cancer surgery demonstrated population-based mortality rates in octogenarians that were considerably higher than those reported in published reports from case series or trials. In Dr. Finlayson's most recent work, she uses a national nursing home registry to evaluate outcomes after surgery in long stay nursing home residents. She found that nursing home residents experienced high operative mortality for ‘low risk' procedures. After operations to remove the gallbladder or appendix, more that 1 out of 10 nursing home residents died after surgery. She has also used this data to evaluate survival and functional status after colon cancer surgery and found that nursing home residents experience substantial and sustained functional decline after surgery. One-year survival was less than 50%. The Symptom Management Service (SMS), a pioneering program for outpatient symptom management in a cancer center setting, was founded by Michael W. Rabow, MD, a national expert in outpatient palliative care program development, service delivery, and research. The SMS is focused on the field of whole person care, which supports patients and their loved ones as they confront cancer and its attendant treatment. It addresses patient quality of life and management of distressing symptoms, irrespective of whether patients are receiving curative treatments or moving toward purely palliative treatment. The program's vision is to improve routine clinical care by offering patients world-class symptom management and state-of-the-art cancer treatment while supporting the patient's family during the process. Working with the patient’s cancer physicians, the SMS co-manages the care of the patient with complex issues of symptom distress, emotional strain and existential suffering. The multidisciplinary SMS team provides pharmacologic and non-pharmacologic management of physical symptoms such as pain, nausea and fatigue, and managing emotional pain including anxiety and depression, and help patients face the underlying challenges of maintaining hope, intimacy, and vitality in the face of challenging diagnoses and treatment decisions. Today, the SMS has emerged as a national model for outpatient palliative care with a robust clinic-based program, rigorous data collection, and pioneering educational and quality improvement efforts. The investigators will perform a multi-site cluster randomized trial that uses a stepped-wedged design to compare the effectiveness of a Question Prompt List (QPL) intervention to usual care for patients considering high-risk vascular (peripheral, cardiac, neuro) and oncologic operations. This 24-month study will use a time-dependent cluster randomization plan within each of the five study sites: the investigators will randomly assign time points for surgeons who perform high risk operations to cross over from usual care to QPL intervention. Study staff will audiotape the conversation between the patient and surgeon during one preoperative clinic visit; administer surveys to patients and family members at 24 hours, 6 weeks and 12 weeks after that visit; and record surgical decisions, treatments received and associated outcomes. The investigators will use stratified purposeful sampling to identify a subset of patients in each study arm who have experienced serious complications for qualitative interviews. Wendy Gabrielle Anderson, M.D., M.S., worked with colleagues in critical care and palliative care at UCSF Medical Center and the Schools of Nursing and Medicine to develop "IMPACT-ICU: Integrating Multidisciplinary Palliative Care into the ICU", a project that integrates palliative care into intensive care units. This is accomplished by training and supporting ICU bedside nurses to identify and address patient and family needs for symptom management, emotional support, and communication. Dr. Anderson currently leads an expansion of the IMPACT-ICU project across the five University of California medical centers, and is developing a program to disseminate the program to other California hospitals. Dr. Anderson also co-leads efforts to engage patients and families into ICU care at UCSF through Project EMERGE. This project is redesigning ICU care to partner with patients and families, reduce preventable harms, and optimize patient and family experience and outcomes. Rebecca Sudore, M.D. has dedicated her research program to making medical information easier for patients and their families to understand. She published the first prospective study demonstrating the effect of limited literacy on mortality in the elderly, and has shown that elders with limited literacy have greater difficulty making medical decisions for informed consent and advance care planning. She has also designed and tested an informed consent process for patients with limited literacy and an advance directive that is both literacy and culturally appropriate. Both interventions have been shown to benefit patients - particularly those with literacy and/or language barriers. Even though her low-literate advance directive has been translated and widely disseminated, further research with patients and surrogate decision makers helped her realize that advance directives alone are not enough. In 2010, she published a study in the Annals of Internal Medicine calling for a shift in advance care planning from DNR/DNI checklists to preparing patients and their loved ones for medical decision making. Her current research program is focused on designing and testing interactive, web-based interventions to prepare patients and their surrogate decision makers to make difficult medical decisions. Alexander Smith, M.D., MPH is broadly interested in issues at the intersection of geriatrics and palliative care, his research has largely been organized around three primary areas: end-of-life experiences, patient-doctor communication, and cultural attitudes toward care. In a series of studies examining nationally representative group of older adults who died, Dr. Smith demonstrated that: (1) pain due to arthritis is under-recognized in the last years of life; (2) lengths of stay in nursing homes for patients who die are shorter than generally appreciated (median 5 months, average 14 months); and (3) emergency departments and skilled nursing facilities are common sites of care in the last months of life and should be a focus of efforts to improve the quality of palliative care. Dr. Smith has a strong interest in understanding how cultural factors influence the perspectives and experiences of patients with serious illness or disability and their families. For example, in a recent study, Dr. Smith found that two-thirds of Chinese American, African American, Latino, and white elders with disability would want to be told their prognosis if they had less than 5 years left to live. He therefore argues that clinicians should offer to discuss prognosis with their very elderly patients, because it both allows for more informed medical decision making and because many patients want to know so they can prepare for the future. 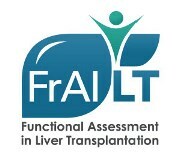 The NIH-funded Functional Assessment in Liver Transplant (FrAILT) Study, led by hepatologist and principal investigator Jennifer C. Lai, M.D., M.B.A., aims to apply measures of frailty and functional status to patients with end-stage liver disease awaiting liver transplantation. Her central hypothesis is that applying principles of geriatric assessment to this population can improve our ability to better identify which patients are particularly vulnerable to adverse outcomes before and after liver transplantation. Her research lays the groundwork for therapeutic interventions to "pre-habilitate" patients awaiting liver transplantation to improve their outcomes and quality of life. The research of Ryan Greysen, M.D., is focused on transitions of care for hospitalized older adults and interventions to improve post-discharge continuity of care including novel uses of patient-centered technology such as mobile devices and social media (mHealth). Dr. Greysen, a hospitalist with unique training in social sciences and health outcomes research, is committed to improving the quality of hospital care for vulnerable patients their families, specifically the health, functional status, and independence of elders by improving care transitions between the hospital and home. Through his research, funded by an NIH K-23 award from the National Institute of Aging, Dr. Greysen seeks to accelerate changes in the healthcare system, by developing, testing, and disseminating novel approaches to patient and family focused on the needs of vulnerable, hospitalized elders.